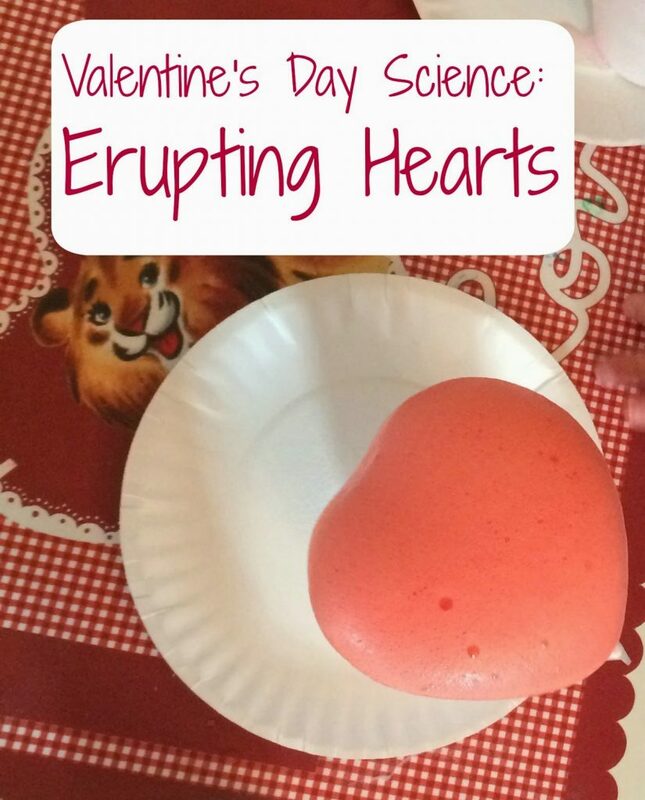 Here’s a fun Valentine’s Day science experiment for kids of all ages. It’s easy and requires very few supplies. I did something similar with Maggie’s preschool class for Halloween (exploding ghosts)and all the kids loved it. 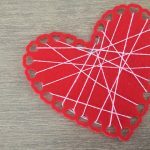 I realized you can make a heart shape out of a styrofoam cup with just 2 pieces of tape. 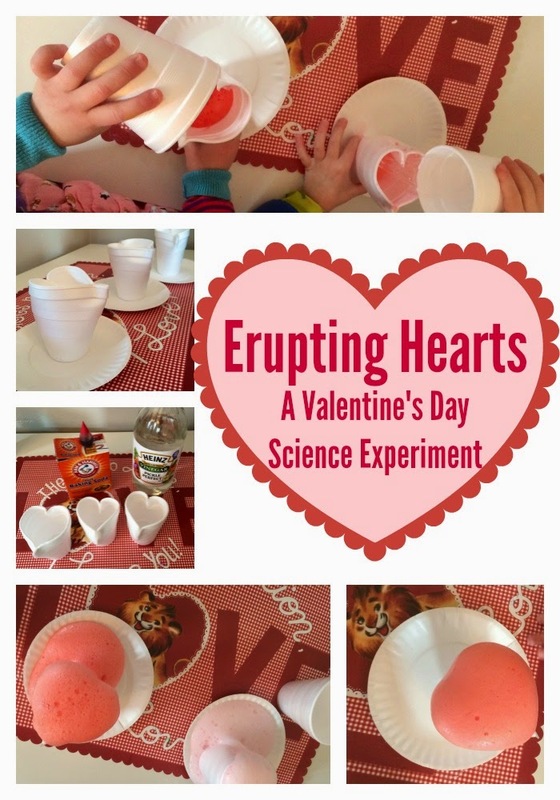 Then, by adding food dye, baking soda and vinegar, we had a fun Valentine’s Day science experiment. Details and a video below! Directions: Prepare the cups by forming them into hearts. 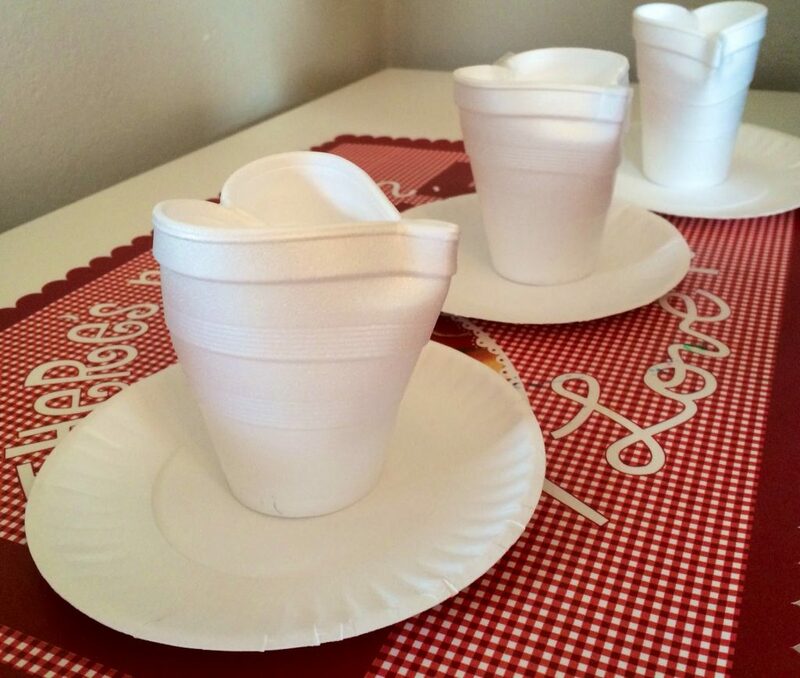 Bend and fold the top of the styrofoam cup and use the tape to hold it in place. 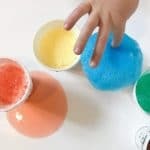 Place a drop or two of food coloring into the cup. 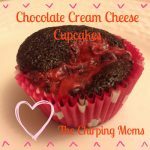 It’s fun to put different amounts of food coloring into different cups to get different shades of red and pink when they all start to fizz! 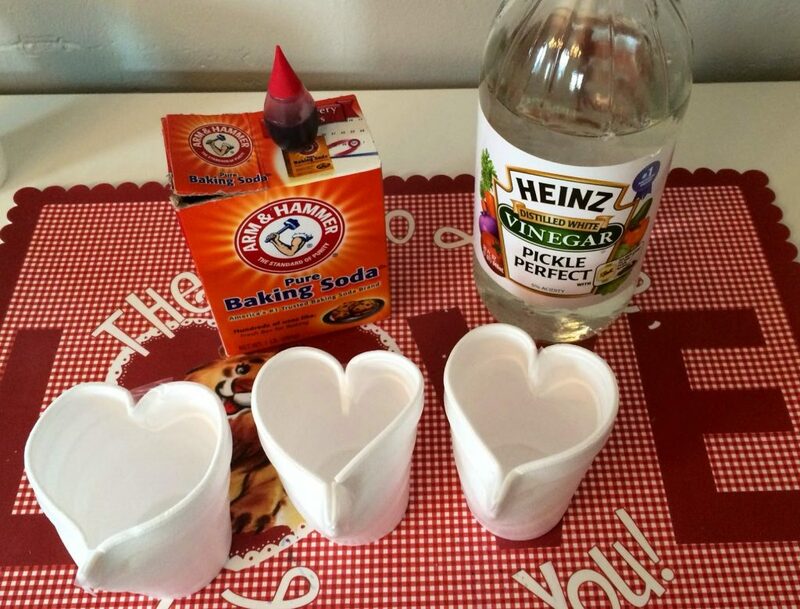 Put about a table spoon of baking soda in the cup. Then, have the children pour about 1/2 cup of vinegar into the cup. 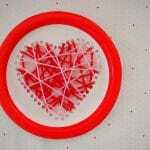 Watch as the heart shaped cup starts fizzing red and pink. My girls like to do a countdown to the heart erupting each time: 5, 4, 3, 2, 1 “go”! 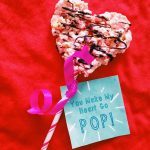 2 Delicious Valentine’s Day Dessert Recipe Ideas!